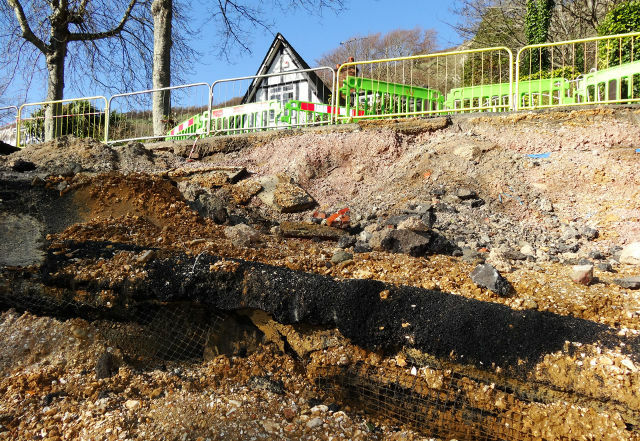 Isle of Wight council leader, Dave Stewart, says that finding a solution to the complex issues of landslips in the Undercliff is a priority for the council, adding that a solution for reinstating the road has been found. On Saturday afternoon, Leader of the Isle of Wight council, Cllr Dave Stewart, who also happens to be ward councillor for Niton, Whitwell and Chale explained how Undercliff Drive could be reopened as a through road in the future. At the community meeting, Cllr Stewart gave an update on the key findings of an Impact Study carried out by Bournemouth University in December 2017. Since the through-road was closed following the 2014 landslip, businesses both sides of the failure claim to have been severely affected. 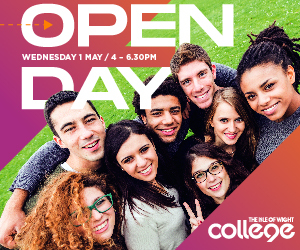 Bournemouth University’s Impact Study had found the cost of closure to businesses and the general public amounted to a whopping £1,448,080 per annum. However, Cllr Stewart added that a possible solution to reopening the road could cost less than just one year’s lost economic activity. A drainage scheme initially presented by highly experienced environmental consultant, Dr Bruce Denness, to the Isle of Wight council in the days of the Island Independents, is now being considered by the council. Dr Denness’ interpretation of the cause of the renewed landslips does differ from that championed in the past by the council, but Cllr Stewart said that scoping proposals (estimated to cost between £250-400k) would be considered in consultation with technical experts, the Cabinet and council officers. In addition to the drainage proposals, Cllr Stewart advised that a solution to reinstate full vehicle access using Geofoam Blocks had also been identified. He said the total cost of the overall project and installation would be around £1.2m – less than just one year of the cost of closure to businesses and the general public of £1,448,080 per annum. If government funding and approval is given to the scheme, Cllr Stewart said it was likely the whole process would take around four years to complete. The leader of the council said the matter would be progressed in the next few months and was not as local matter, but one that affected a far wider area. Isle of Wight Conservative MP, Bob Seely, has this week urged the government to use its coastal erosion fund to help the Island’s council find a solution to the Undercliff Drive landslip issue. “The most significant ground instability problem and the largest occupied landslip in the United Kingdom is The Undercliff on the Isle of Wight. “Part of the road there gave way, and it has done so many times, lastly in 2014. “My problem is that the council is unwilling to invest in rebuilding that road unless we can understand better and at reasonable cost the water flows underneath that part of our coastline. He said he would speak with the minister responsible to discuss the issue. “Finding a solution to this complex issue is a priority for the council but we do need financial help if we are to progress the wider issues and government money would be a great boost. It makes it more challenging to reinstate the road without understanding what is happening to the land there because it could be carried away yet again. 3 Comments on "Understanding Undercliff issues ‘a priority for the council’, says Leader"
I suspect it’s a ‘priority’ ’cause locals are pressuring the leader of the council. To the very north of the Island the leader does nothing but complain about spending £800,000 on ‘Jenny across the R Medina’. Nowhere near his constituency! Yes neilwheel, whilst two other island towns, Cowes and East Cowes are being dragged inexorably into economic disaster by the IW Council Chief Executive’s manifest failure in his responsibility as the Project Sponsor to deliver a reliable, frequent, full service replacement Floating Bridge, which his own department specified. Agreed BUT it has far wider effects than the two immediate towns of Cowes & E Cowes. Crossing across the north of the Island is a road link, not using it increases traffic & air pollution around Coppins Br. and Newport. Where was the economic impact study around FB6, was the impact study of the Undercliff by Bournemouth uni. free?